The lowdown: Sparkling wine—Champagne, cava, prosecco, etc.—has for so long been associated with celebrations, yet its versatility demands we pop it on more than just New Year’s Eve and NASCAR victories. Tragically, the average American consumes less than half a glass of Champagne a year. (That doesn’t count other types of sparkling wine, but still, come on, America.) Sparkling wine’s effervescence makes it a great pairing with fried foods—try it with potato chips—and cava is a great pairing for popcorn. Rosé options, new domestic producers, and a wide range of price points make our current moment one of the best for bubbly fans. At its most basic, there are two ways to produce sparkling wine. The first is the champagne method, also called methode traditionelle, in which winemakers introduce yeast and sugar into a bottle of wine. The yeast slowly eat up the sugar and release carbon dioxide, or bubbles, as a result of their natural metabolic process. The second method is the charmat method—once described to me as “the SodaStream method”—by which carbon dioxide is injected into tanks of wine to create bubbles. The champagne method is time-consuming and labor-intensive, and it can take years before a bottle is released by the winemaker. Hence, a higher price tag. The tank-carbonation method speeds the process up, meaning a wine could be ready in four months instead of seven years. That keeps these sparkling wines more affordable, but also doesn’t produce the same complex flavors that years of aging on yeast bits (called lees) will yield. Time really makes the difference when it comes to sparkling wines. Some types of sparkling wine—most famously, Champagne—are protected by local laws. Champagne must come from Champagne, France, and comply with other regulations, such as a mandated length of aging time and fermentation method. 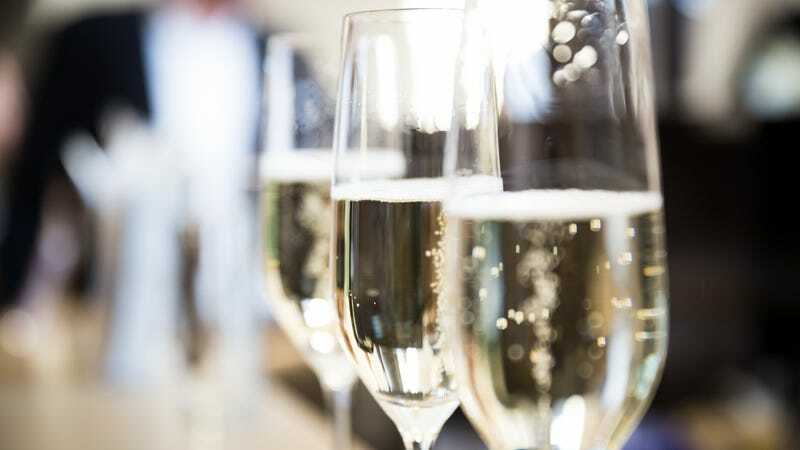 (Fun fact: U.S.-made champagne, usually from California, that had the c-word on its label before 2006 was grandfathered in and allowed to continue using the term.) Cava also has a stylistic protective designation in Spain and must be made via the methode traditionelle. It typically ages between nine months (basic vintages), 15 months (reserva), and thirty months (gran reserva). Prosecco is made via the tank carbonation method, and doesn’t have any contact with yeast lees. German sekt is typically made via the tank carbonation method as well, and its grapes can come from anywhere in Germany’s 13 primary regions. There are also fawned-over sparkling wine styles coming out of England’s Eastern Coast, Tanzania, and of course, the United States. If you’re buying sparkling wine to mix with juice for cocktails or mimosas, it’s cost-effective to buy a prosecco or other sparkling wine made by the charmat or tank method. But if you want to start appreciating structure and nuance and yes, fine, tiny bubbles, you’ll want to level up to something that sat on lees for a while. You might also keep an eye out for French cremants, which are produced using some of the same grapes and methods as Champagne, but outside that region’s boundaries. Often, a nice bottle of cremant will cost half as much as a bottle of Champagne. André also suggests looking at domestic producers of sparkling wine, such as New Mexico’s Gruet Winery and Oregon’s Argyle Winery. Next level: Champagne. When you want to treat yourself and potentially drink something you’ll remember for years, you have to go for Champagne. There’s a reason it’s the gold standard of sparkling wines: The soil, the climate, the vines, the tradition—yes, the terroir for you pinkies-out drinkers—can’t be replicated. The bulk of Champagne is non-vintage, meaning it’s made with a blend of grapes harvested during different years, and this is typically the least expensive. Möet’s Imperial Reserve is its house Champagne, and it tends to be an all-around crowd-pleaser. Freshness is what’s most associated with Möet, a sort of lively fruitiness backed by subtle brioche. At around a $45 price point, it’s always a solid bottle to reach for—and not just on New Year’s Eve, remember. Special thanks to sommelier Linda Adams for her research and assistance. Ask The Salty Waitress: Is it okay for adults to order from the kids’ menu?